Continuing our in-depth look at Michele’s epic computer game series The Journeyman Project. 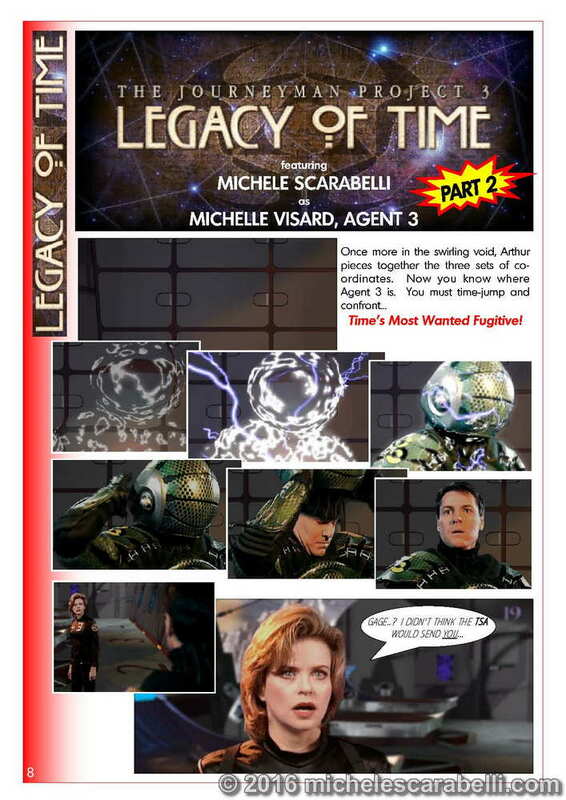 This issue, an epic photo-strip detailing the capture of Agent 3 (Michele Scarabelli) by Agent 5 in The Journeyman Project 3 – Legacy of Time! Why has Time’s Most Wanted Fugitive given herself up to the forces of good? What is the ultimate threat to Earth? And can you (as the hero of the game) save the planet in time? 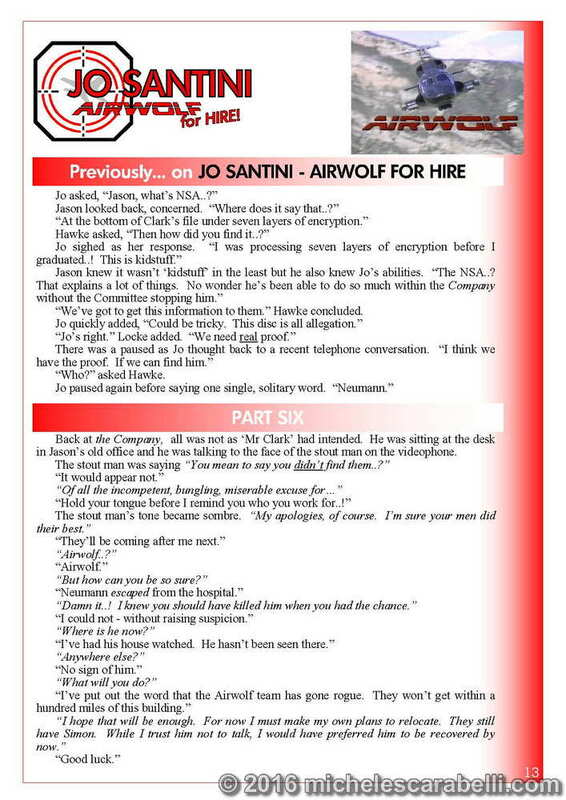 Jo Santini – Airwolf For Hire!. The penultimate chapter of this high-octane explosive adventure story. The Airwolf team locate Neumann (William B Davis) after his brush with death. Neumann knows the secret behind the company takeover and the mystery behind who the stocky man really is. Be prepared for a surprise as an old enemy from Hawke’s past catches up with them. An excerpt from the Michele Scarabelli Olde Worlde Curiosity Shoppe. 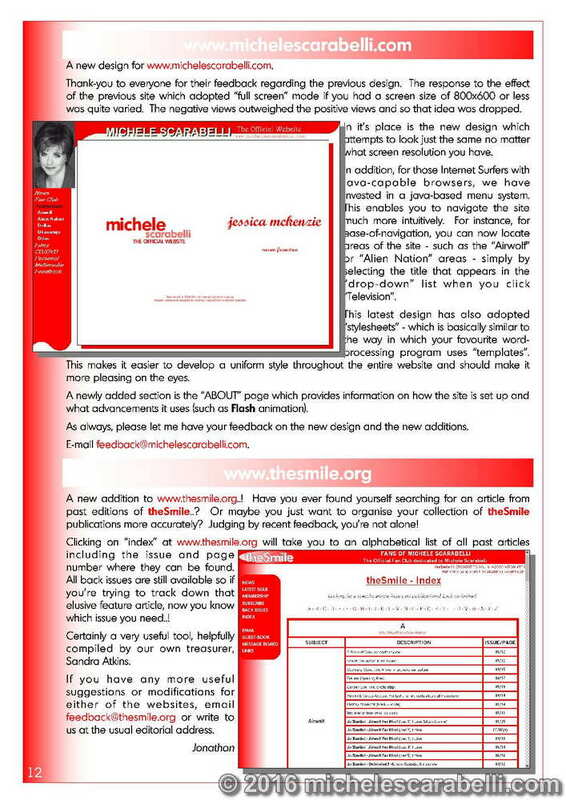 The Michele Scarabelli Treasure Hunt unearths a newly discovered gem. A little-known series from the early 1990s released straight to video. 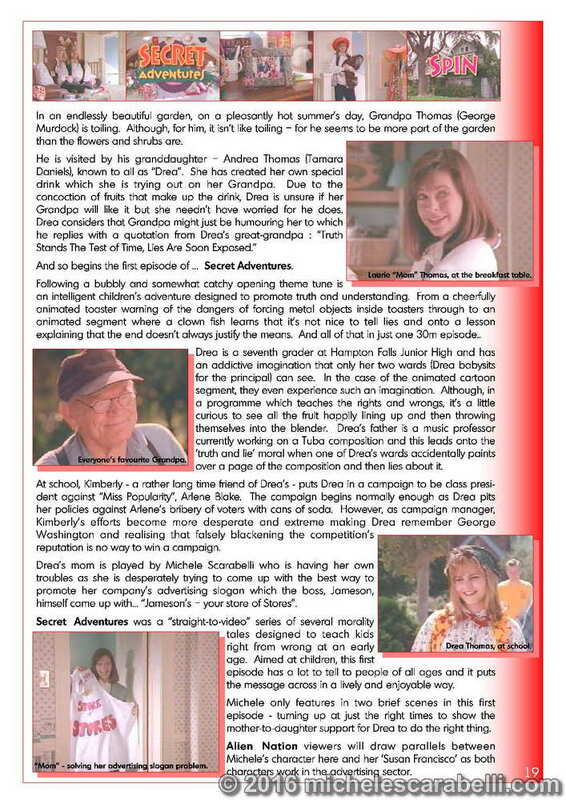 The first episode is reviewed in this issue..! 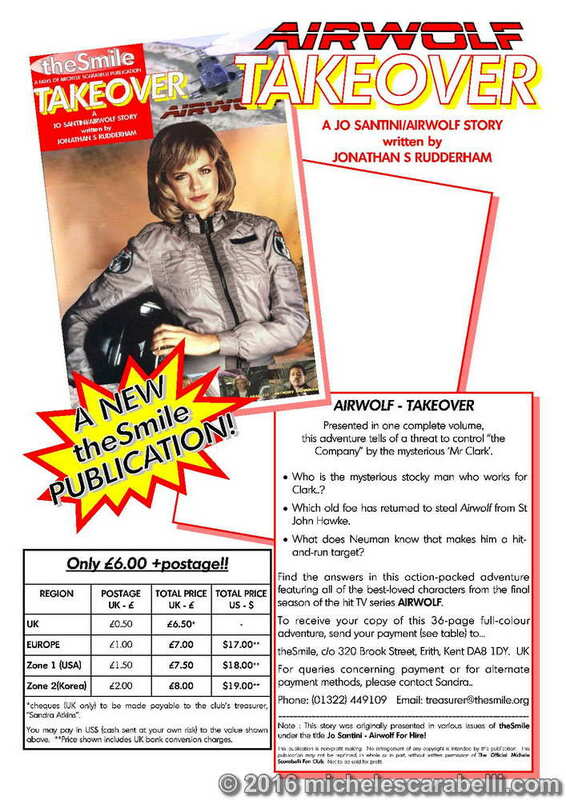 The return of fourth-season Airwolf to UK-TV screens is signified by a review of Michele’s first ever Airwolf episode – Blackjack. Featuring Jan-Michael Vincent as the legendary “Stringfellow Hawke”. 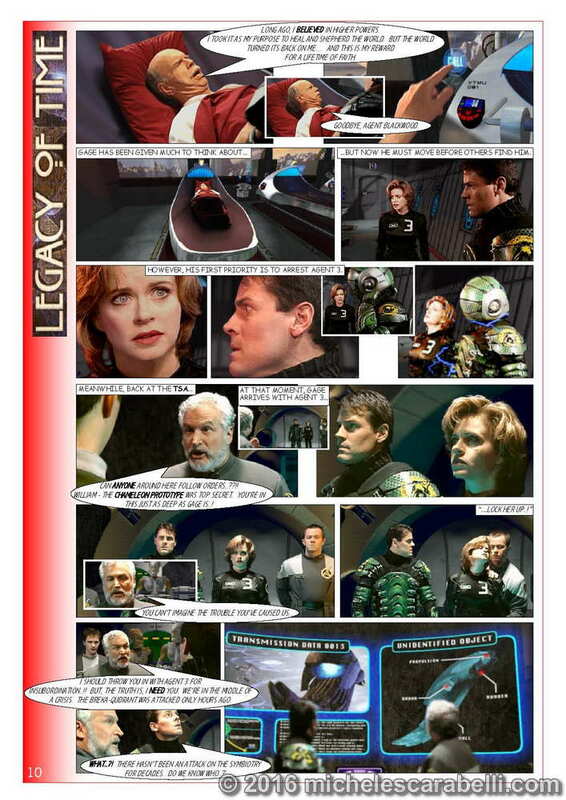 The adventure tells of a time when Stringfellow Hawke finally tracked down his brother, Saint John (Barry Van Dyke) and details the daring rescue attempt led by ace pilot “Mike Rivers” (Geraint Wyn Davies) and “Jo Santini” (Michele).